A small question first: If you are honest and spot-free of any wrong-doing, will you get threatened by a humble book? Subrata Roy, Sahara supremo, is certainly feeling threatened by a book written on his company, titled Sahara: The Untold Story. In a recent development, Subrata Roy has approached Calcutta High Court and has successfully received an ‘ex-parte’ stay on the release of this book. It seems that this actual tale of Sahara and it’s business practices will remain ‘untold’ as of now. The book has been authored by Tamal Bandyopadhyay, a senior business journalist and deputy managing editor at Mint. 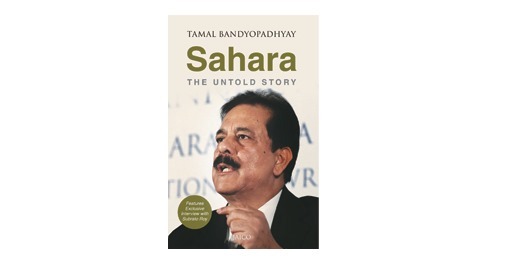 Not only Sahara has been able to get a stay on the release of this book, they have also filed a Rs 200 crore defamation law-suit against Tamal for attempting to highlight certain “libelous materials” against the company. As per Sahara, the book was targeted at lowering the reputation of Sahara and its founder in the eye of the public, without any justification. After hearing the petition, Calcutta High Court observed that “the balance of convenience lies in restraining its (the book’s) publication till the prima facie case is more fully brought out”. I would say, this is a defeat of Freedom of Expression and the Right To Express Views. SEBI and Supreme Court of India have ruled that Sahara has duped thousands of investors via their companies: Sahara Housing Investment and Sahara India Real Estate, using unlawful investment schemes. Supreme Court of India has asked Sahara to refund Rs 24,000 crore to its lakhs of depositors and investors, and Sahara has been evading this ruling since last 18 months. The SC ordered both companies to refund the money by 30 November 2012, but to date the Saharas have not complied with the order. You can find the ruling here. Now, it looks like they are trying bully the media by this book ban. You can read excerpts from this book here. This is the not the first instance when a book has been banned in India. “The Polyester Prince: The Rise of Dhirubhai Ambani” was one book, which was banned by Government of India for similar reasons. It is said that when this book was first published, Dhirubhai was so angry that he bought all the copies in Mumbai and threw them in Arabian sea. “Five Past Midnight in Bhopal” is another such book, which was banned in India due to its explicit and brutal portrayal of the role of Indian police in stopping the calamity. Banning books and putting a blanket ban on such media only fuels the fire, and help it to reach a broader level of readership. You can get a list of all such banned books in India, here. Anyone can write such a book who has mighty stylus but I feel Subrata Roy has become a victim of political vendetta unleashed in retaliation against his comment in 2004 that the country’s Prime Minister should be an Indian by birth and not someone of foreign origin. No one is threatened or something, its all about branding, no would would like any sort of negativity being marketed. True or false is the secondary story, we just need to focus on who’s working for India’s development? who’s being more contributor in the economy of India.